A Small Family Run Farm, We Love Visitors! 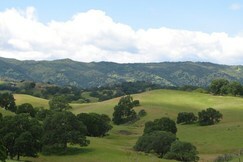 Our ranch is located in the English Hills area north of Vacaville, CA. The property abuts the Timm Ranch, a 3,000 acre ranch that spans the area between Vacaville and Winters. The views are amazing! As a full service livestock ranch, our business is built around our passion for the animals. We raise alpacas and free range chickens. 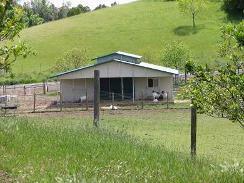 In the past, we have raised fullblood Boer goats, Barbados & Barbados x Katahdin sheep, ducks, turkeys and pheasants. And we have the requisite three dogs & several cats… hence the menagerie. Our family has been heavily involved in 4-H. Our children are grown and just about gone. Our son is about to graduate from Sacramento City College with a degree in Criminal Justice, and our daughter?recently graduated from Iowa State University ?with a degree in Animal Science. 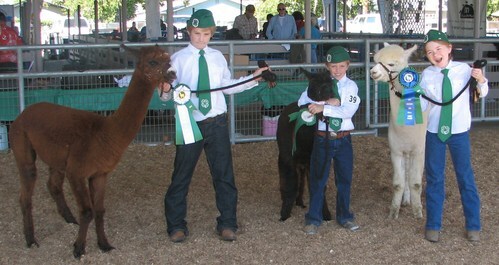 In 4-H, they each took 3 or 4 projects a year. 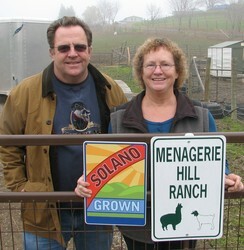 Kirk led the County wide Archery Project for four years and Deb led the County wide Alpaca Project. Deb is also the past Secretary for Solano County 4-H Leaders Council and managed the 4-HEROES Project, a multiyear community service project that was a joint venture with the Army National Guard. 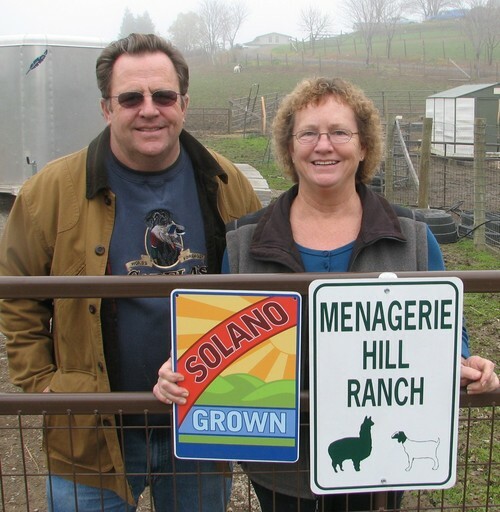 Visitors are always welcome at Menagerie Hill Ranch whether it’s a simple alpaca visit or a full ranch tour. We enjoy talking about what we do and are always happy to explain any aspect. Call for an appointment & we’ll be happy to accommodate you. We charge $15 per person for a tour. Our ranch store offers alpaca fiber, yarn, products and other alpaca themed items. We also sell fresh chicken eggs. Store hours are by appointment. Plan a visit soon. You’ll be glad you did! We are a small family run ranch. Our mission is to become a sustainable, profitable operation while holding true to our family values of honesty, integrity, fairness and helpfulness. We believe it is our responsibility to treat our animals, our land and the environment with the utmost care and consideration. Our focus is on breeding alpacas for continuous improvement in color vibrancy, fineness, density, and crimp while maintaining excellent conformation and an easy going personality. 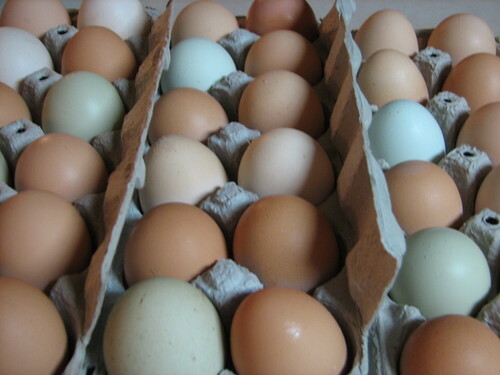 We take pride in maintaining excellent health in all our animals.